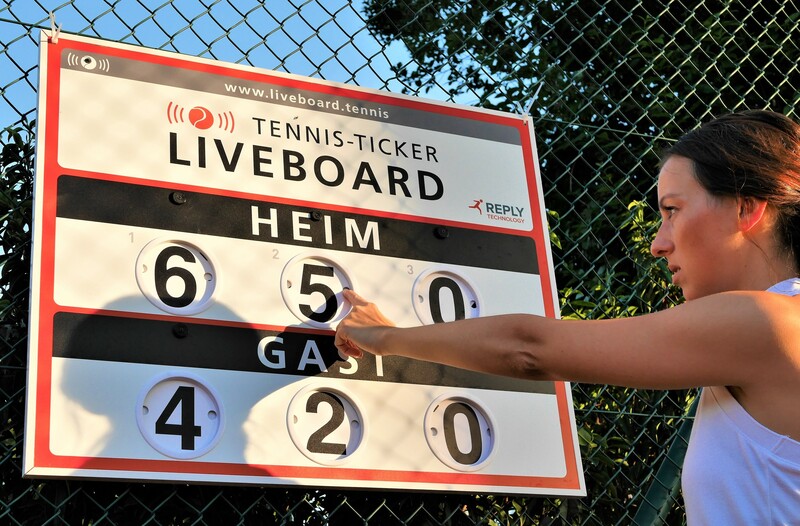 The Tennis-Ticker system can be connected to a wide range of LED scoreboards and video displays. 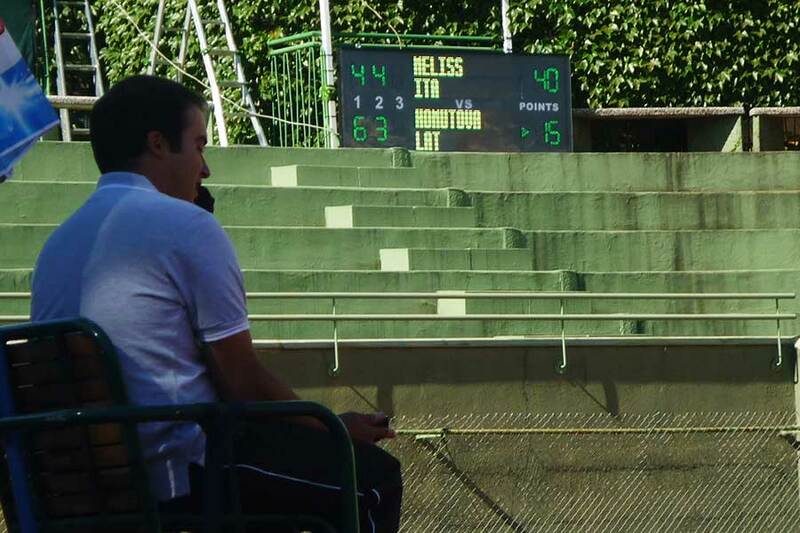 The scoreboards receive the signal directly from the chair umpire’s PDA. 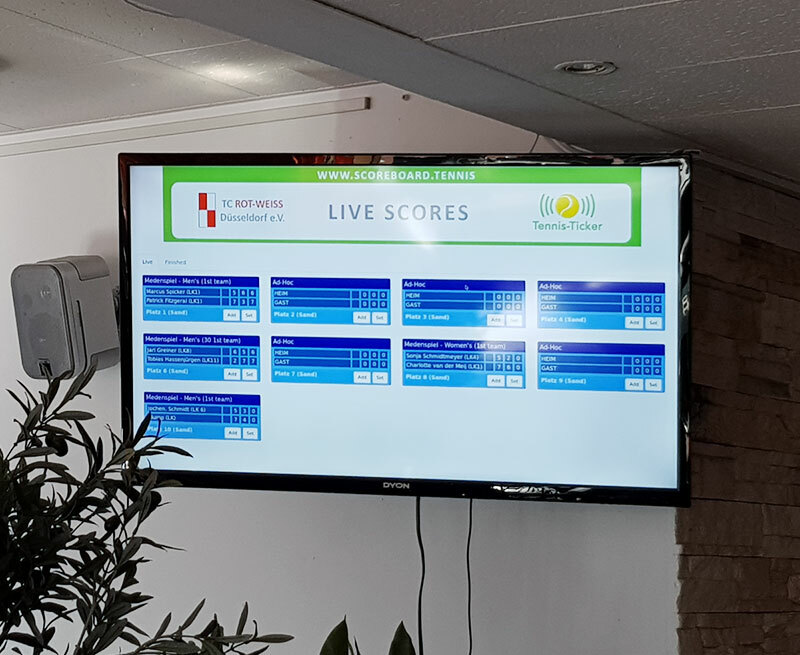 Tennis-Ticker offers rental of scoreboards and video displays and takes care of the installation and support throughout your event. 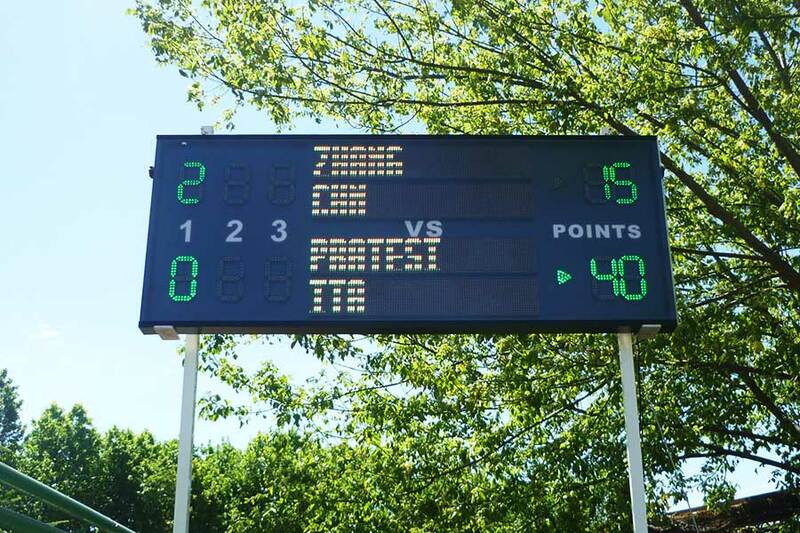 For bigger events we offer Individual Web Scoreboards. These can be displayed on video walls or video cubes. 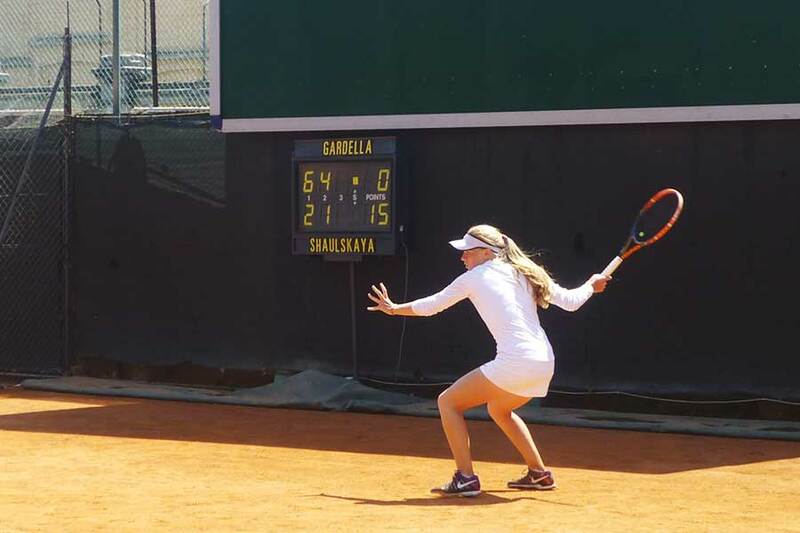 In combination with animations and video advertisements during changeovers these set-ups give spectators the ultimate Tennis experience. 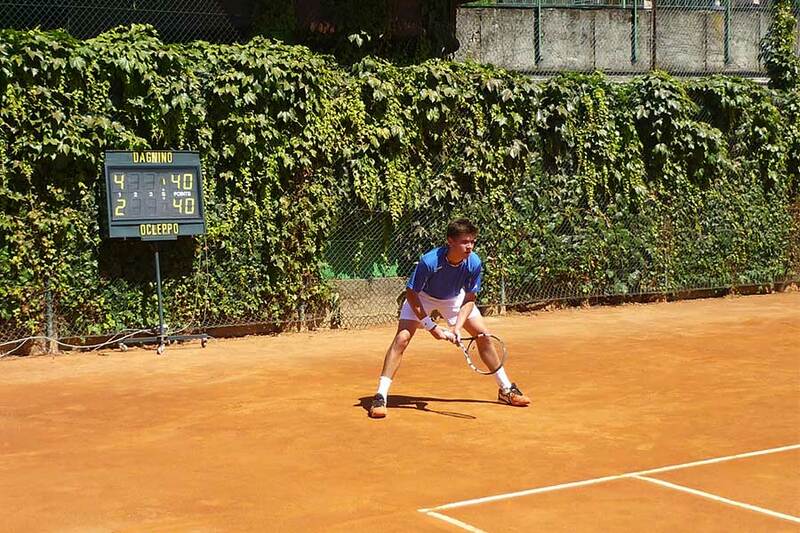 Imagine you could equip the courts of your club or tournament with nice-looking scoreboards that automatically send match scores to your website. 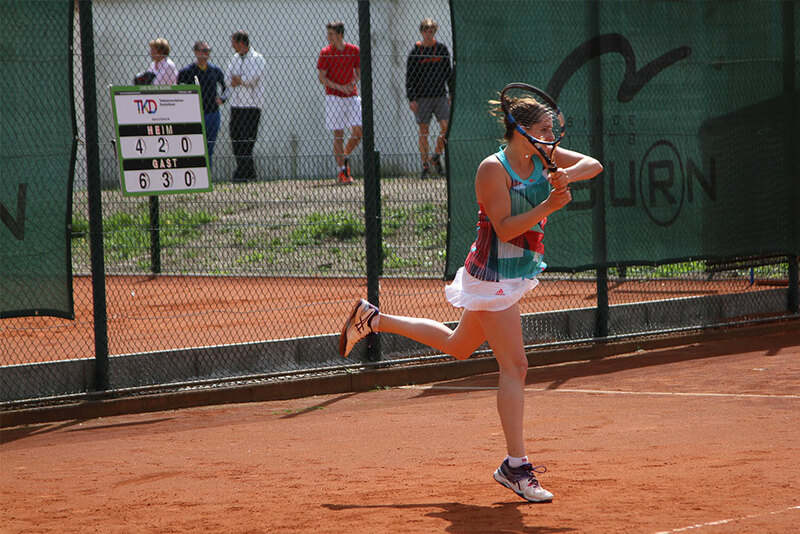 Tennis-Ticker makes this vision a reality! 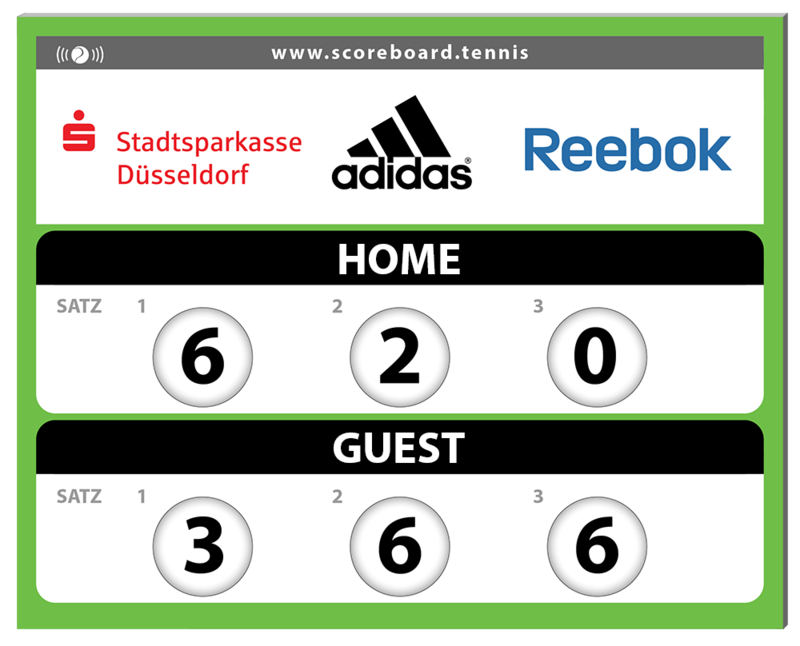 With our Tennis Live Boards scores are sent to the internet directly after the players have set the score on the scoreboard. 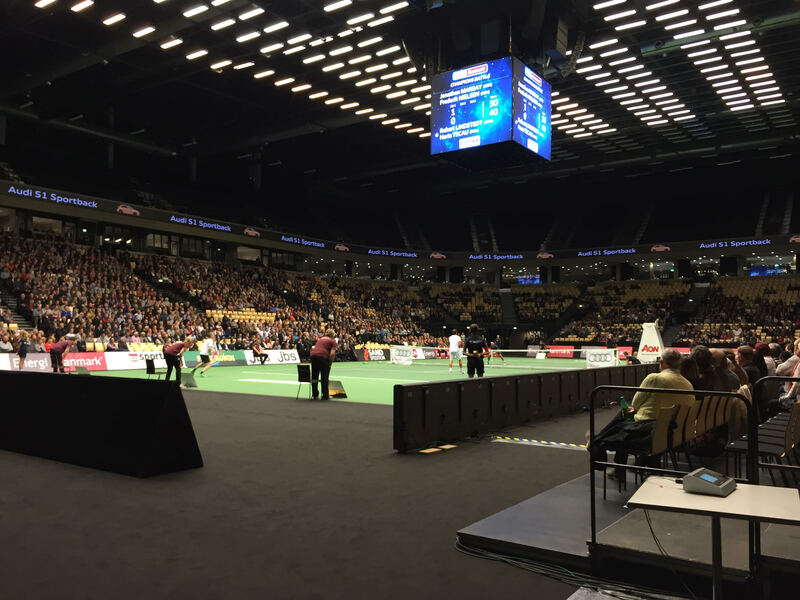 We will produce the Live Boards in your preferred colour and place your club’s and sponsor’s logos in the advertisement area. 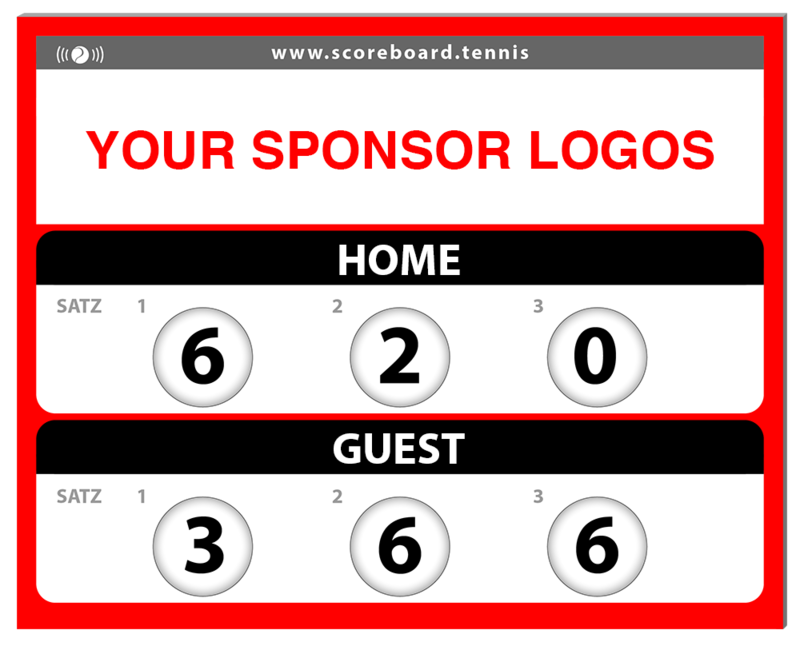 Of course these logos will also be presented on your own Live Score Interface in the internet. Moreover, the Live Boards can be individually customized with player or team names.